Our team has received many requests recently to create preference centers to help clients comply with privacy-related legislation — CASL and GDPR chief among them. Some countries’ legal requirements are quite stringent, while others are more relaxed. Requirements differ from client to client, but a similar request seems to come up in the conversation because of the difference between countries: can we show certain fields to people in certain countries, but not show those fields to people in other countries? Of course, Marketo’s form editor does give its marketing automation practitioners a powerful tool to conditionally show or hide elements based on field values. Conceivably, one could accomplish the requested functionality using Marketo’s built-in Visibility Rules to show a field only when the Country value is set to certain countries — say, those in the EU. However, this only works if there is data in the Country field. If someone is filling out a form for the first time, Marketo won’t have the Country information to know whether to show or hide the conditional fields. You could enable Marketo’s Prefill functionality, but that only works (natively) on Marketo landing pages and not on Marketo forms embedded on your main website. Again, the Country data is not available. As it turns out, we have an important piece of information that, if used correctly, can yield the user’s country: the user’s IP address. Using the IP address, we can look up which country the web request originated in, much like a web analytics tool like Google Analytics. Moreover, there are a slew of free services out there that provide geographical lookup APIs based on IP address. 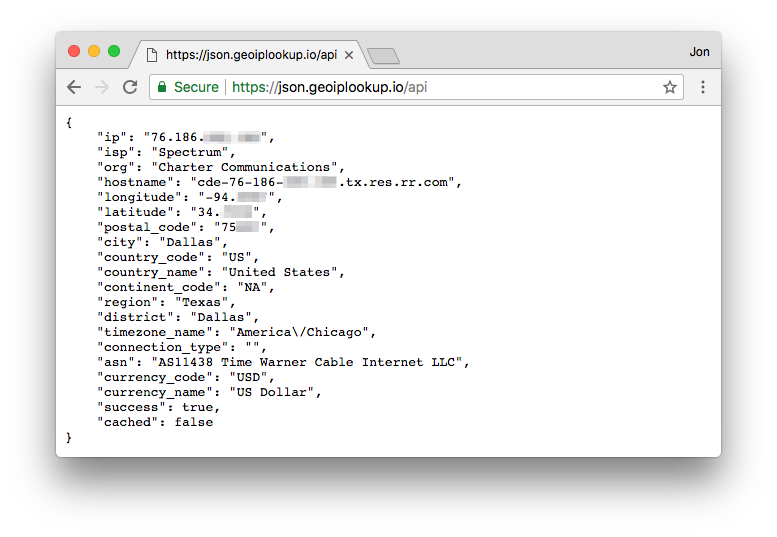 One such service is geoiplookup.io. All you have to do is send a user request to their server, and you get back the user’s country code, among other useful information. If you have a defined set of country codes to compare against your newly retrieved country code, you can show or hide fields based on whether or not the detected country is in the list. Post below in the comments if this helped you or if you have questions or other comments.